The prices on both of these have dropped since we posted them yesterday. This entry was posted in All, Spinning Reels, Spinning Rods and tagged 13 creed x, 13 fishing, 13 fishing creed x, 13 fishing creed x spinning reel, 13 fishing omen black, 13 fishing omen black spinning, 13 fishing rod, 13 fishing spinning, 13 fishing spinning rod, amazon, creed x, fishing rod, OB2SA71L, omen, omen black, one 3, one 3 creed x, one 3 creed x spinning reel, one 3 spinning, reel, rod, spinning, spinning rod, spinning-reel. Bookmark the permalink. 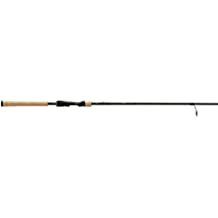 ← Daiwa Tatula & Zillion Reels – Up to 52% Off!